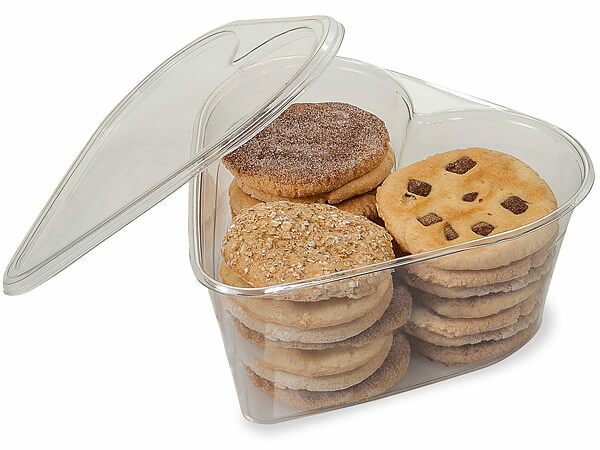 *28 oz Heart Plastic Food Container 8x8x2-3/4"
Container fits lid HTR. Lid SOLD SEPARATELY. Complies with FDA regulations for food packaging. Made in the USA. Use our SB14C Shrink Bags for sealing.